Oct 29, 2018: Best umbrella for upcoming days of continuous rain? Nov 25, 2018: Update: How do you carry your Chromebook and normal laptop? 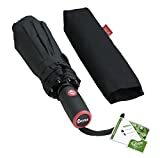 Jan 13, 2019: What is the best umbrella on amazon for about $40?